A perfect mix of sweet and tangy make a refreshing punch. Pretty for Easter or spring showers. Add all juice and water into a punch bowl. Stir until frozen juice has broken up well and is incorporated into the pineapple juice and water. Add ice cubes and stir the punch for a few minutes to combine and cool off well. Add Sprite and serve. Garnish as desired. This will be lovely when the weather is a bit warmer. Right now it's pretty chilly where I live. The straws in your photo are cute! 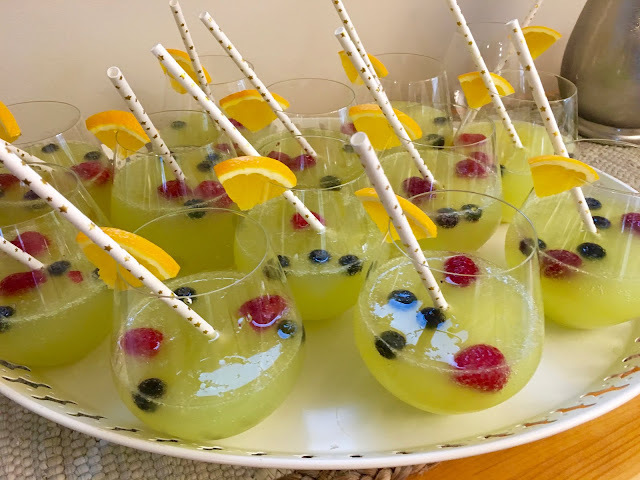 Made this punch for our Easter meal yesterday; delicious; also liked Kayla Krahn's suggestion of perhaps serving it with champagne. I need to add this to my punch recipes. It sounds so refreshing and looks beautiful!